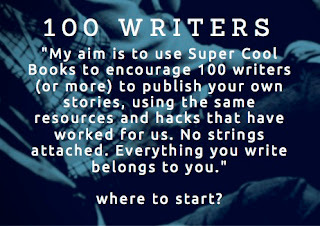 NOTE: This is part of my 100 WRITERS project. More and more people in Singapore are writing Sherlock stories. And that's a good thing. You know about our Sherlock Hong series, with a new international edition coming out this month, thanks to Marshall Cavendish. And our friends AJ Low have their own Sherlock Sam books, published by Epigram. Now I'm happy to welcome S Mickey Lin to this cosy club. Mickey has put together his own Sherlock picture book, and he's currently running a campaign on Kickstarter for this. Check it out and support a fellow Sherlock fan! A short bio please, everything that’s relevant, interesting and/or bizarre. Mickey received his master's from the University of Southern California School of Cinematic Arts. His writings have been published in Hong Kong, Singapore, and the United States. He has resided in various parts of Asia: Bangkok, Beijing, Kuala Lumpur, Taipei, and now Singapore. 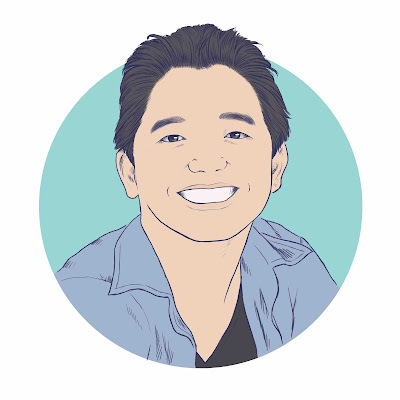 He was ordained as a young Buddhist monk at Wat Thai of Los Angeles when he was a child. Tell us about your Sherlock Kickstarter project! 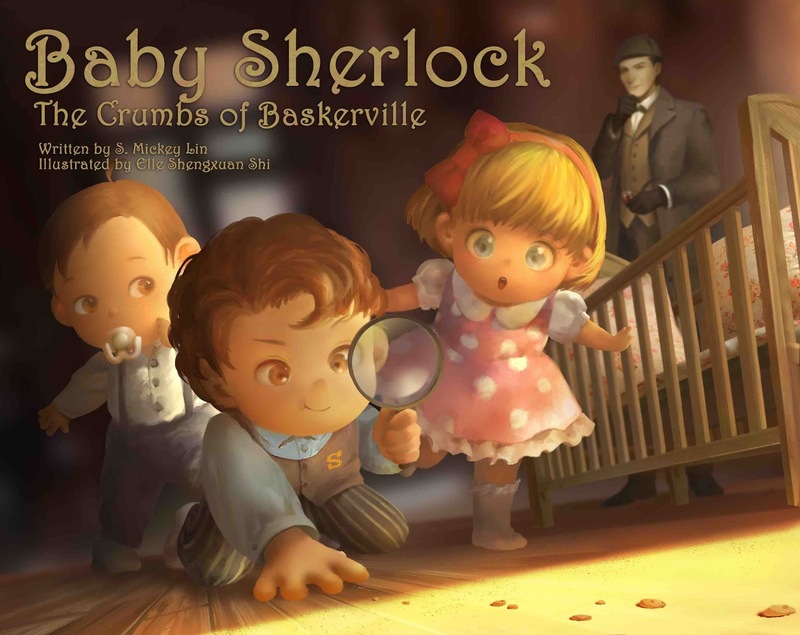 Baby Sherlock: The Crumbs of Baskerville is a 30-page hardcover picture book features Baby Sherlock, the son of the world’s most famous detective, on his very first case. 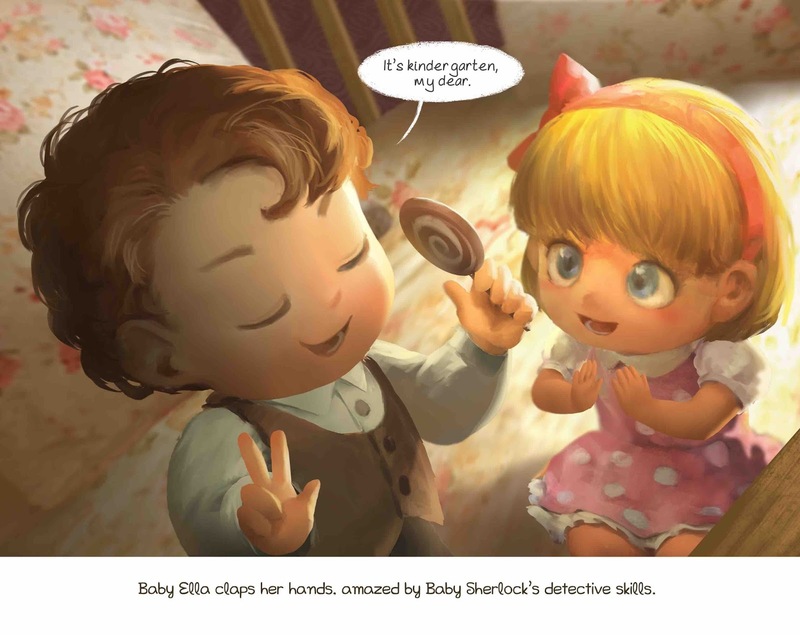 Follow along as Baby Sherlock and Baby Watson explore the kitchen of 221B Baker Street in search of Princess Ella’s lost cookie in this original work. I have many nephews and nieces, whose ages range from 3-8, and I wanted to read them a kid-friendly story about Sherlock. Baby Sherlock: The Crumbs of Baskerville is my attempt to give them that book. Plus, I wanted to show them what a pint-sized detective can do. 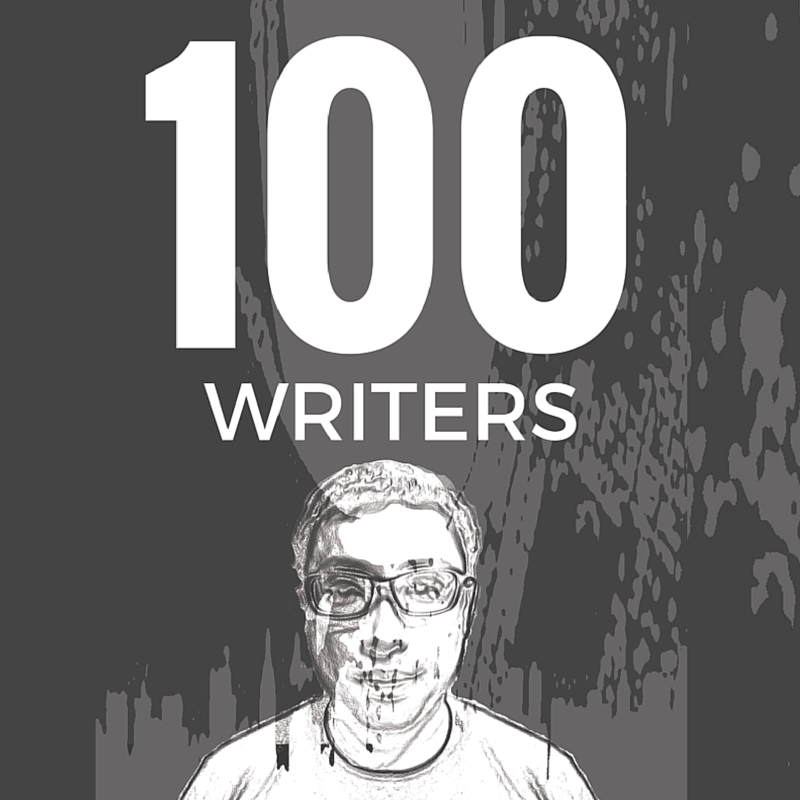 Happy to say that the writing and illustrations are completed. We're currently on Kickstarter to raise money to publish a hardcover version of the book. We even added in bookmarks, stickers, and plush dolls to sweeten the deal. You contacted some other Sherlock authors too: what did they say? SherlockHolmes-Fan.com likes it and put us on their Facebook page. Sherlockian.net put us on their front page for a while. And NerdReactor.com has an article about us. 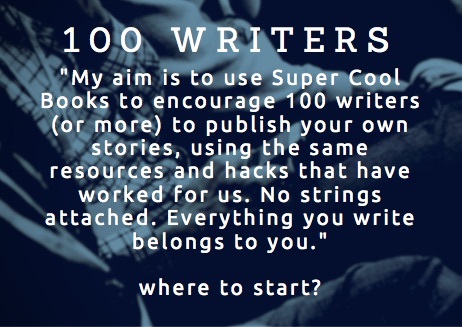 Are you ready to publish your story?